You hate it, don’t you? The dentist is nobody’s favorite person. Poor dentist. And, it’s because most people have oral hygiene problems that have turned into painful gum disease – or at the very least it’s turned into plaque and inflamed gums. Here’s how a dental plan might help you, even if you don’t like the dentist. Did you know that a third of everyone in the U.S. hasn’t been to the dentist this year? Most people think that teeth and gums just don’t need that much attention – wrong. Every year, more than 800,000 people go to the emergency room because of dental problems that are totally preventable. Most of us hate going to the dentist, and yet we wouldn’t want any of these illnesses. Fortunately, you don’t need to die a slow and painful death. Also consider the cost of your dental treatments. Do you just need cleaning or do you need more extensive work. Be honest with yourself. Speak with your dentist about your real dental needs and what would constitute a realistic treatment plan for you given your current health. Dental plans range in prices and affordability. If you want to know more, check out mydental.guardianlife.com. Most dental insurance isn’t really set up like typical insurance because insurance covers a loss. And, with most dental plans, it’s all about prevention. A typical dental benefit plan isn’t designed to cover everything. It covers common procedures, like cleaning and braces. PPO and DHMO are the most common, but there are many others. Preferred Provider Organization (PPO) — These organizations represent a plan that uses a network of dentists that have agreed to offer services for a set price. The number of services depends entirely on the plan. If you see a dentist outside of the network, you’ll have to pay more out of pocket for the services you want. Dental Health Maintenance Organization (DHMO) — These plans are basically in a network and are paid a set fee every month to provide certain covered services. There is no out of pocket cost for you for many of the covered services. Some services do have a small out of pocket cost, however. Discount Plans – These aren’t insurance plans (but, to be fair, neither are dental plans). Instead, the discount plan represents a group of dentists. The groups of dentists agree to discount their dental fees in exchange for a small fee or sometimes no fee at all. Discounts are applied to all services, including cosmetic services. These plans don’t pay for any services you receive. Instead, you pay a discount when you receive service. Think of it as a plan where you must save up the cost of your care in advance – just like an insurance company would do. In that sense, you become the insurer. The Affordable Care Act prohibits dental plans from using annual or lifetime dollar maximums on child dental coverage, which would prevent a lot of children from receiving expensive treatments, like dental braces and other treatments. In the past, you would be subject to a cap on benefits. If you exceeded the cap, the insurer denied benefit payments. Since there are no limits, you will have no additional out of pocket costs. 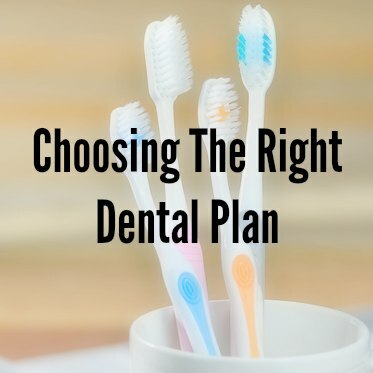 There are generally two types of dental plans – high coverage and low coverage plans. The high option has a higher premium but lower co-payments and deductibles. With this type of plan, you intend to use the plan often, and so you do not want to pay for deductibles and co-payments for each visit. With a low option plan, you pay a lower premium but higher copayments and deductibles. This is a plan that assumes you do not use your plan often, but when you do, you pay more out of pocket for coverage. Alfie Bolton works as a dental assistant, a job he has been in since leaving college. In his spare time he enjoys writing, and naturally, dental topics are top of his list.